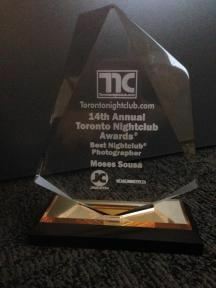 In the last quarter of every year, our head photographer, Moses Sousa participates in the Toronto Nightclub Awards ceremonies with other people who work in any part of the Nightclub scene. People will then have a chance to vote for the best person in each nightclub role. These roles include photography, bartending, bouncers, nightclub owners, Music disc jockey (DJ), Event host (MC), and more. Awards are given to people who receive the highest number of votes in their role from people like you. 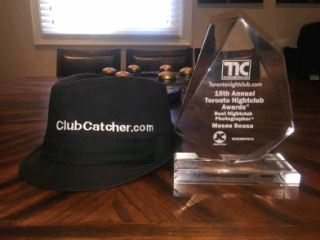 Moses (our head photographer) has won two awards for being voted the best nightclub photographer of the Greater Toronto Area. You may contact us if you require a larger version of any image shown here. 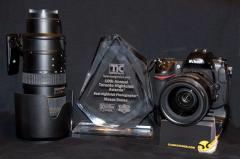 The head photographer (Moses) would like to thank each and every one of you who took your time to vote for him!